Nelson Chamisa has a formidable case against his opponent President Emmerson Mnangagwa, presumed winner of last week’s presidential elections. Politics aside, Chamisa’s election petition confirms his remarks earlier in which he declared that he had won the 2018 elections. Chamisa’s petition chronicles a litany of allegations of irregularities and blatant violations of the Constitution and the electoral Act by ZANU PF. There are at least three killer punches in the petition which really would leave Mnangagwa scampering for cover. First is the accusation in paragraph 4.5.14 against ZEC Chairperson Judge Priscilla Chigumba that after she was appointed Chairperson by President Mnangagwa on 1st February 2018, she celebrated the appointment on February 3 by accepting President Mnangagwa’s now typical insignia the scarf of the Zimbabwe flag which was Mnangagwa’s. Wearing this scarf, Judge Chigumba in breach of regulations prohibiting ZEC staff wearing materials associated with one of the candidates campaign material. Second is allegation that Chamisa’s election agents were not called to sign the presidential results before they were announced as required by law. Viewers who watched the ZEC announcements of the presidential results will recall the drama that took place shortly before the ZEC returned to the podium to announce the last outstanding results, Chamisa’s election agent also MDC Chairman took to the floor to announce that he had not signed the results. In the petition, Chamisa avers that this was after the ZEC CEO promised to call the agent so that he can verify and sign the results before they were announced yet Judge Chigumba and her colleagues proceeded to announce the results ignoring the statutorily mandatory signatures only to ask for them after the announcements. Third is the unbelievable allegation in paragraph 6.5.3 that even based on their own figures, the results they announced do not match. He alleged ‘…..The evidence attached hereto and marked ‘1 Series’ shows that more people than were registered voted. ………..Further, there are polling stations where ZEC there was a plus 90% turnout. This is unimaginable. In those areas where there was a plus 90% turnout, first respondent (Mnangagwa) was given a total of 352 897 votes……….’. He attached ZEC’s own analysis sheet. The petition makes several other allegations including the biased role of the security forces which he accused of promoting the interests of only the ruling party. In particular, he mentions the deplorable event of Wednesday 1st August when the military opened live fire in Harare in response to unarmed MDC demonstrators who were calling for release of the results. 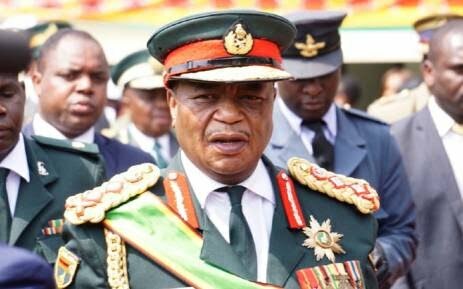 It is common knowledge that since independence ZANU PF has been using the army and other security forces to maintain their grip on power. This is what Chamisa is talking about when he complains about the role of the security forces during the elections. Of course it was good for the army to step in as they did and remove Mugabe from power because without that act, Mugabe would still be in power. No one, not even Mnangagwa would have removed Mugabe from power had the army not done what it did. Everyone agrees that it was too much Mugabe had to go. But removing Mugabe from decades in power is one thing and trying to illegally keep power under the facade of Mnangagwa or is it Chiwenga is quite another. There was absolutely no basis for the army to have used live ammunition on civilians on 1st August. Besides the security forces, Chamisa makes several allegations against the conduct of state media which is another well known story of primitive bias. Just like in Zambia, state media in Zimbabwe have no clue the difference between ‘state media’ and ‘government media’. During elections, so-called ‘state media’ behaves like it is ‘government media’ openly biased in favour of government which is illegal. Distribution of seed and other farming requests especially to people in rural areas is another serious allegation raised in the petition. He argues that distribution of farming inputs to people in rural areas under the facade of empowering rural people unduly advantaged the first respondent. Anyone with basic knowledge of rural areas in Africa and particularly with massive poverty levels in these areas should easy understand the reason behind sudden ‘love liaisons’ between governments and people during elections. Coupled with strong relationships between chiefs and governments in these areas, and the influence chiefs exert on people in their areas, the story is complete. Of course we are still to hear from Mnangagwa and ZEC their responses. The issue, however, is that based on previous election petition judgments, Chamisa no doubt has a edge over Mnangagwa. In previous election petitions, judges in several jurisdictions have dismissed petitions challenging results of elections on the ground that while there were irregularities and even illegalities, overall the elections were substantially free and fair. What this means is that courts mean is that no election is free of irregularities and that courts are not there to nullify every election based on proof of any irregularity. But this is different in the case of the Chamisa-Mnangagwa election. Mnangagwa’s win was only with the slightest of margins. In previous case law, courts have if the difference between the loser and the winner is very large, they will be reluctant to invalidate the election merely upon proof of an irregularity. This is also in line with the decision of the George Bush versus Al Gower case in which the court seems to have suggested that election petitions in their nature are political. But again, this case is different. It is not even the difference between Mnangagwa and Chamisa which is at issue but the .3% margin of victory Mnangagwa allegedly got over the 50% constitutional threshold to avoid a run-off which is the issue. Based on a litany of African cases such as from Shehu Shagary case in Nigeria, the 2001 Col. Dr. Besigye Case in Uganda through to the first Raila Odinga versus Uhuru Kenyatta case, the principle has been the same, namely, that courts can interfere with the electoral body’s declaration in circumstances where there is proof or material irregularity which if it had not occurred, the result would be different. Imagine if Chamisa manages to prove ay of the allegations he has made, namely, that it did occur and that it was material to the outcome which ZEC announced, obviously it could lead to a different result. But of course there are other factors key among which is the judiciary and particularly how independent it is? We are victims of this in Zambia. The other is the elephant in the room i.e. the military. This makes the elections in Zimbabwe not just a simple case of elections. But there is no doubt that this is a test case in Zimbabwe and looking at the issues the petition raises, a test case for the way in which elections should be conducted in Africa as a whole.